Based on some excellent comments from Charlie, I have gone back to Electric Quilt and come up with a couple of revised designs. The first just changes the widths of the sashing strips so they are all a consistent one inch finished. I think Charlie is right, it is better with the consistent width. The second, shown below, follows Charlie’s suggestion of making all the sashing strips one color. 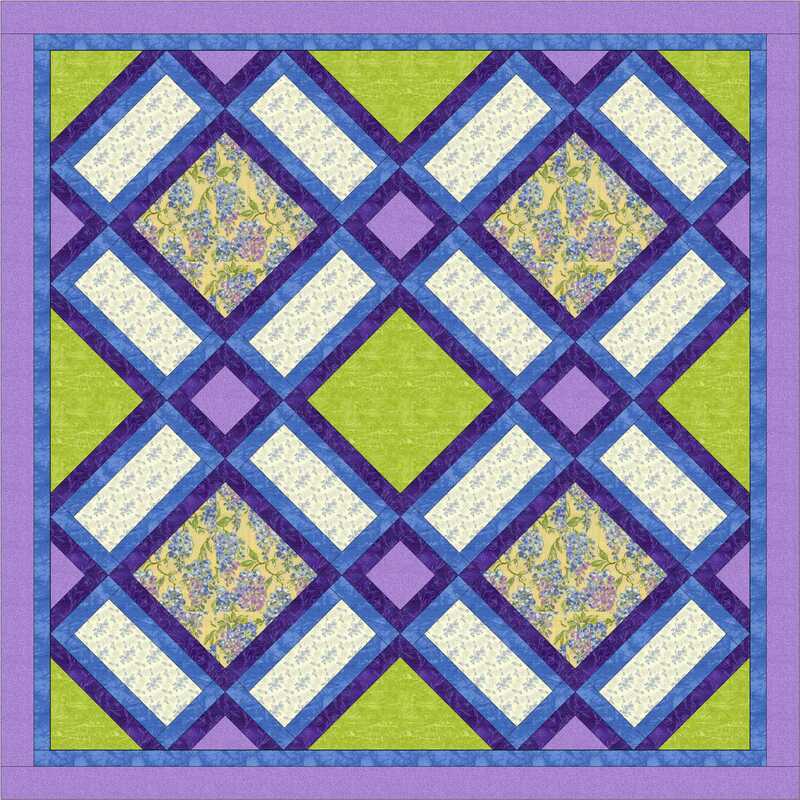 This quilt would actually be easier to make because the sashing would not have to be added to each block individually, and it takes fewer fabrics. The first version has a little more “punch” and the second is softer and emphasizes the print fabric more. I like them both. 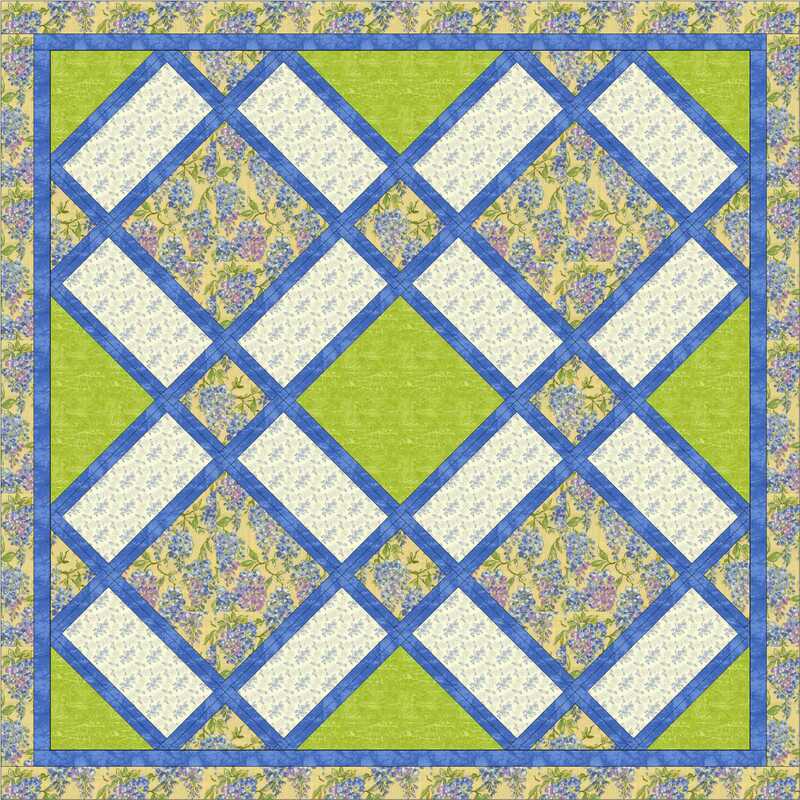 This entry was posted in Contemporary Quilts, Quilt Designer, Quilt Patterns, Quilting, Uncategorized and tagged contemporary quilts, quilt design, quilt patterns on April 26, 2013 by Shirley at Mystery Bay Quilt Design.